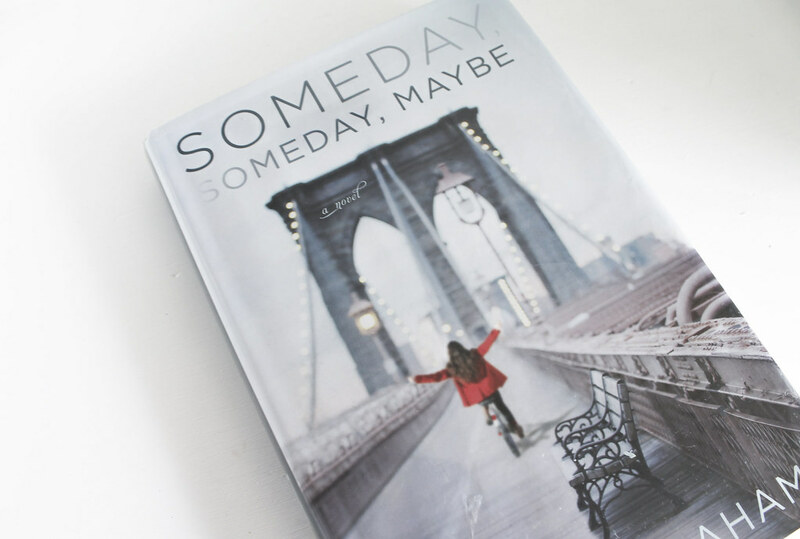 What I've Been Reading: Someday, Someday, Maybe | emma etc. I've been meaning to write another one of these posts for a while. This is one of the books I took away with me to read on holiday and I think it was my favourite one, called Someday, Someday, Maybe by Lauren Graham. I absolutely loved the main character and the narrator of the book, Franny. What I loved especially was her inner monologue, I suppose, of all the things that were on her mind. It's such a cute story about a struggling actress in New York. If I ever had aspirations to be an actress I would be so heart-warmed and inspired by this book. I still am inspired by this book as I loved the way this was written. I just kept wanting to read more of it, and I could relate to many things. I think what I just loved so much about this book was the strong and vivid images of the characters. Gosh, there are some super cute moments in this book. Franny isn't your typical 'girl' if you know what I mean. I feel like she actually had substance. She was hilarious! To be honest, I don't really know what to say and I'm not really giving this a full 'review' but all I CAN say is that this book was just freaking good. Suggestions for future reading material? !